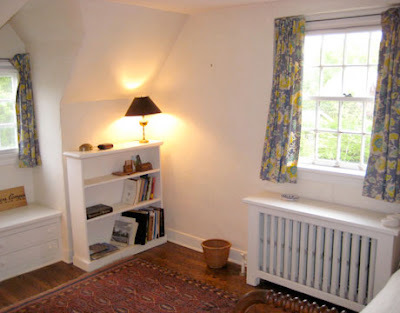 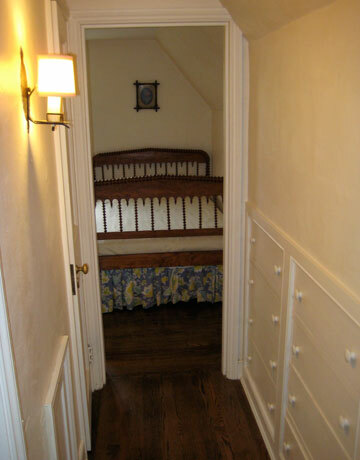 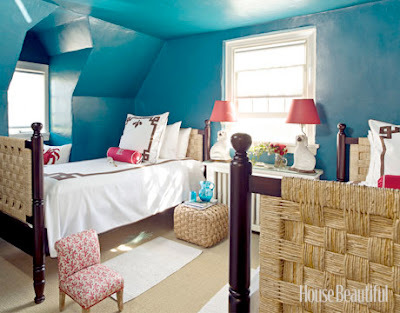 I love this before & after guest bedroom featured at House Beautiful. 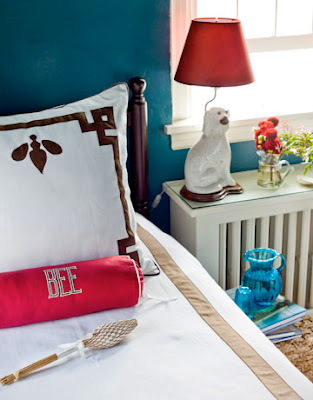 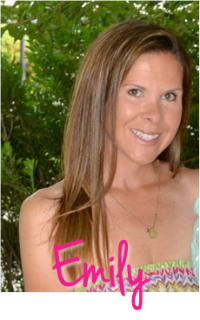 I love the bold, glossy turquoise on the walls paired with white bedding and red accessories. 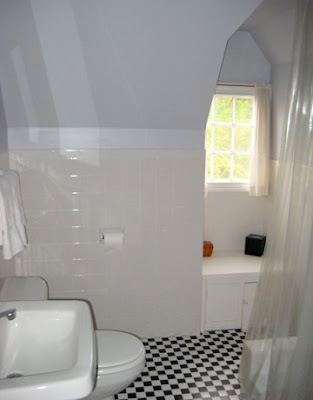 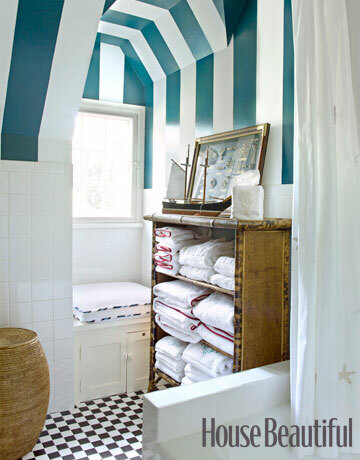 I love that the designer kept the original floors of the bathroom and added the striped walls with continuing the use of the bold turquoise from the bedroom. 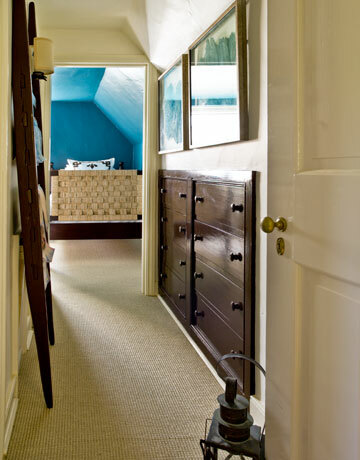 The homeowner is lucky to have the built-ins through the corridor for extra storage.